If you’ve ever had any doubt about the safety of your child when being transported to and from school, you can take the word of the National Safety Council, which has declared that buses are easily the safest mode of transportation which can be used for school children. That principle can of course, be extended to include other riders as well, and other destinations beside school, simply because the buses themselves can be considered extremely safe. Here are some of the reasons why you can be very confident about the safety of buses in getting your children to school, or in arranging for school bus rental for transportation to other destinations. Each day, approximately 25 million students in the country start their day and end it with a trip to school on their designated school bus. These kinds of buses have been specifically designed for safety, and include giant mirrors, high seat backs, and flashing lights, not to mention the bright yellow color which creates high visibility for other drivers. If it weren’t for buses transporting children to and from schools, another 17 million vehicles would be on the road and parked near schools for the purpose of transporting children. Statistically, riding a bus to school is much safer than either walking or riding in the family vehicle. To further extend the safety concept, shoulder belts and lap belts are provided in most school buses, so that children and other riders can be even more secure during transit. Lap and shoulder belts have been made available on most school buses ever since 2002, and there are several states which actually require these belts to be installed for passengers, in particular California, Louisiana, Texas, New Jersey, New York, and Florida. 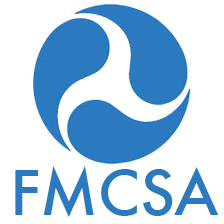 These devices have been given strong support by the National Highway Traffic Safety Administration, along with the National Safety Council, which urges all school districts to consider having these devices installed. There was a major accident in 2012 in Chesterfield, New Jersey which resulted in a school bus being impacted in its side by a commercial vehicle. Results of that crash were that one student died, and many others sustained serious injuries. Some of the students who were uninjured in that crash had lap belts on, while others did not, and sustained significant injuries. This pointed up the value and wisdom of making use of the lap and shoulder belts when available. While buses are specifically engineered to be as safe as possible for children going to and from school, or on field trips to various locations, it helps a great deal if students participate as well, and stay aware of their surroundings so as to avoid injury. A great many injuries can be avoided by staying away from traffic and not engaging in roughhousing while waiting for buses to come. It’s always best to wait until the buses come to a complete stop when they approach, and the door has opened to admit students. Once that happens, the safest way to board is to use the handrail. When students are actually on the bus, all available restraints should be used, e.g. seat belts, lap belts, and shoulder belts. Loud noises should be avoided, because they can distract the driver, and everyone should remain in their seats throughout the trip. No body parts should be extended out of windows, and aisles should be kept clear of bags and books. When it’s time to disembark from the bus, the handrail should be used again, and when it’s necessary to walk in front of the bus, you should be at least 10 feet forward of the bus, so the driver can see you. With a few simple rules that pay attention to safety, the natural design and the safety features built into buses can provide the safest possible journey for all riders. 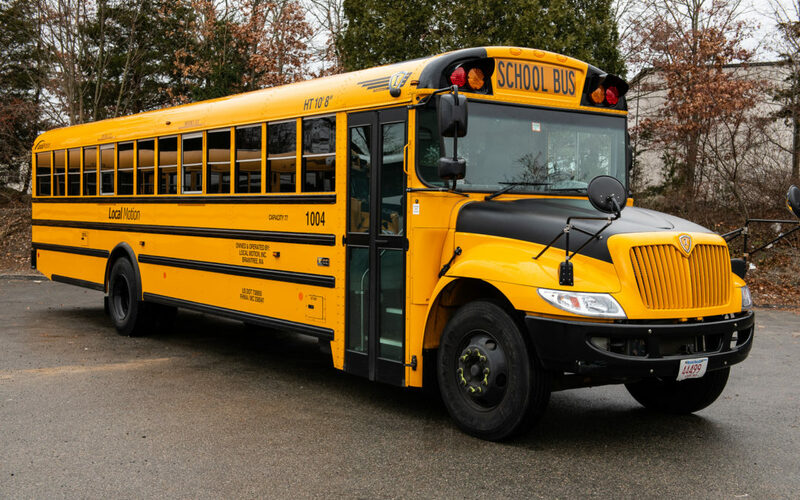 If you’d like to take advantage of the great safety features built into such buses, contact Local Motion of Boston about school bus rental. Wherever it is your party needs transportation to, they couldn’t possibly get there any safer than by renting these superior school buses for transportation.